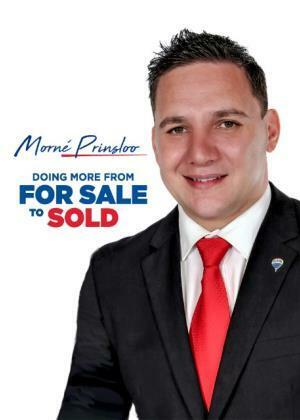 Why Choose Morné Prinsloo from RE/MAX Masters Roodepoort? That’s an excellent question. In fact, it’s one I’ve considered many times and I believe there are several reasons why I think you should choose me to be your preferred real estate agent. I believe that everyone has a right to an honest estate agent regardless of the price of the home they would like to sell or purchase. That’s what you’ll get with me as your estate agent – honesty. As an honest estate agent, my goal is to find the right home for YOU. Some real estate agents want to find the home that offers them the best commission with the least amount of effort. That is not what you’ll get if you choose me and we’ll take whatever time necessary to find the right match for you. I’ll be honest with you about a property and will openly share my observations and opinions. For sellers, I’ll be honest about setting the price for your home. I’ll give you my honest opinion and share my expertise on what will help sell your home and what the challenges might be. I promise to point you in the direction of fair, legitimate, and honest vendors whether it’s in a transferring attorney, mortgage originator, or complacence certificate services. And if I’m not the right person to help you, I’ll admit it and hopefully be able to introduce you to somebody within the RE/MAX Masters group who is. One of my primary roles as a real estate agent is as negotiator. I’ll work with home buyers and sellers and their reciprocal agents and clients to negotiate the best deal for YOU. I consider it very important to make sure you are making a wise decision on your investment. I know many of the mistakes people make in real estate and my goal is to keep you from committing any of those mistakes. I want to make sure you aren’t just pleased with the look and feel of your home, but your satisfaction as an investment or as a sale. I’ll also help you through the home inspection process, which can be one of the most difficult phases of buying or selling a home. I’ll guide you through want should be fixed or not fixed, what needs attention, what’s fair or not fair, etc. Too often, this is where transactions fall through and they shouldn’t. Good negotiation skills are critical. My skills from my earlier career as a managing director in the financial industry help me in real estate every day, whether its achieving customer satisfaction, dealing with vendors, investors, negotiating, understanding financing, or being a leader. I’ve seen it all and I’ll make sure you see everything that’s involved in buying and selling a home. More importantly, I know how to get you through it. 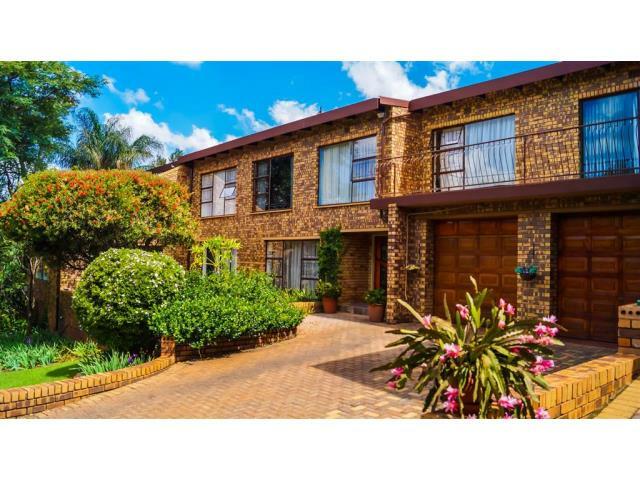 I grew up in Krugersdorp on the Westrand, before moving to the peaceful suburb called Little Falls situated in Roodepoort. Since then, I’ve closely followed what’s happening in and around Little Falls and surrounding areas. 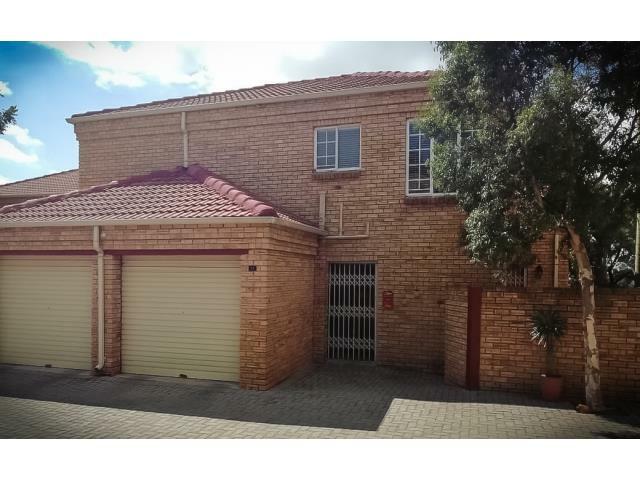 I can help you find or sell a home anywhere in Roodepoort, Randburg or Krugersdorp area. 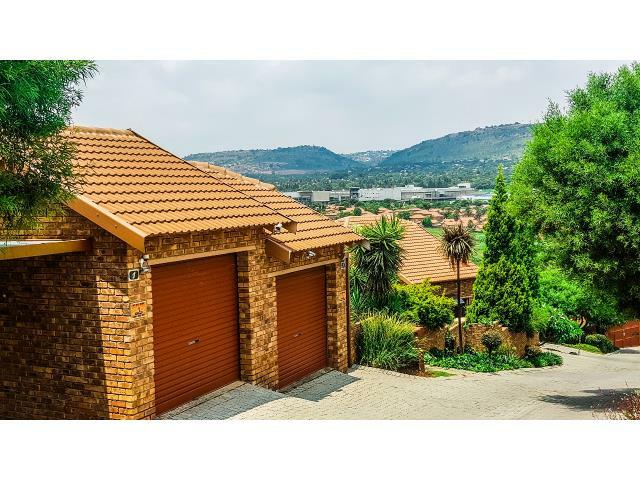 I have SOLD many homes in Roodepoort, Randburg and Krugersdorp and lived in Little Falls for more than a decade – these are communities on which I specialize. I love to help people and it’s one of the reasons I became a real estate associate with RE/MAX Masters. If you are my client, I’ll take care of you like a friend and I hope you’ll consider me a friend too. Buying and selling homes can be stressful, even maddening at times, but we’ll strive to have fun along the way. Because I care about my clients, I’m willing to spend time with you and I have the time to offer. I’ll spend as much time with you as it takes to make sure your satisfied with the sale of your home. I’ll go out of my way to make you happy. • To attract as many qualified buyers as possible until your home is sold. 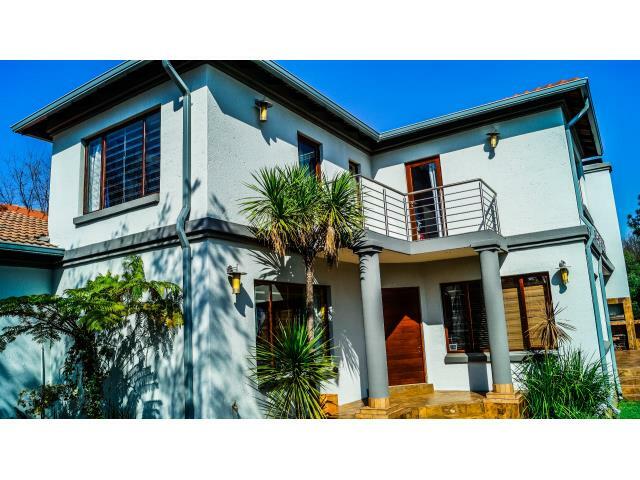 • To continuously look for the best methods of maximising exposure of your property. Luxury living is written all over this wonderful home. It gives way more than you ask it to, and just as you think you have seen it all it gives you a lovely surprise. Let us open the beautiful wood and glass door and take a tour through you and your family's new home. Entering the house you are greeted with a waiting/reception area. 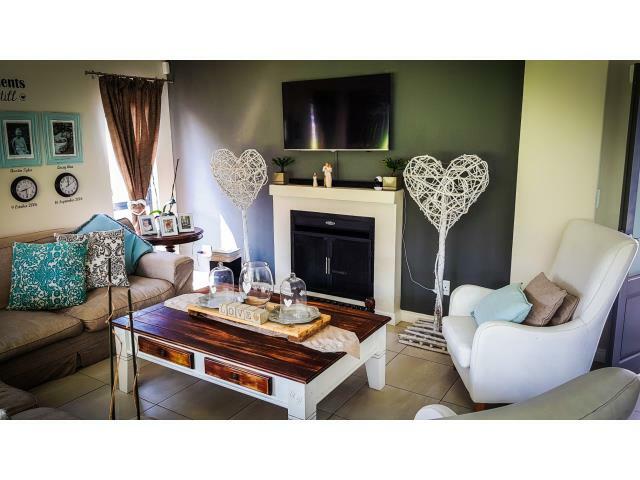 Moving on you find a wonderfully designed open plan dining room, that is big and spacious, a living room with a fireplace to keep warm and a big kitchen with its own scullery/laundry room. 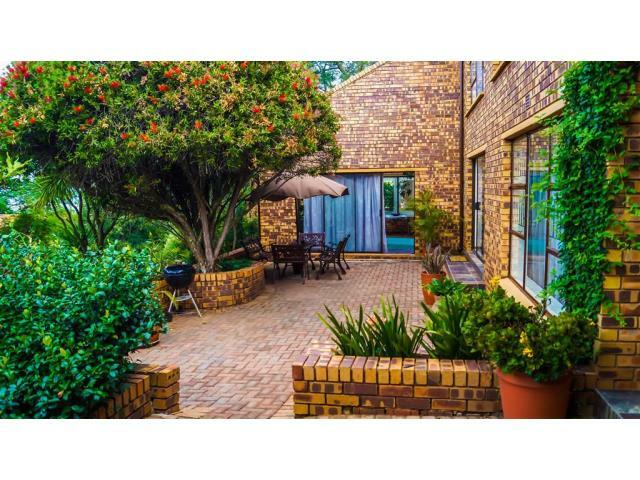 Make memories and have a get-together by the summer bar and private braai area or just relax in the indoor, solar heated swimming pool. While on the topic of relaxation, adjacent to the master bedroom is a spa room, that has a jacuzzi, shower, and sauna. The master bedroom also has an en-suite bathroom and a big walk-in cupboard. The View of the swimming pool is also one to get lost in. The home offers 3 other rooms all with built in cupboards. Next, we have another reception/living room that precedes the huge entertainment room. The possibilities are endless with this big floor space, pool table, ping pong you name it. Adjacent to the entertainment room is the main bar that has a great view and access to a balcony. This is truly a dream home for any established family that is looking for the next step or just a bigger place to house all the children. A few extras that the house has is a guest bathroom, domestic quarters, 2 offices that provide work from home opportunities, a double garage and a big front and back yard. Safety is also not a concern in this property. It is found in a safe area that is guarded 24/7 and has boom gate entrance. 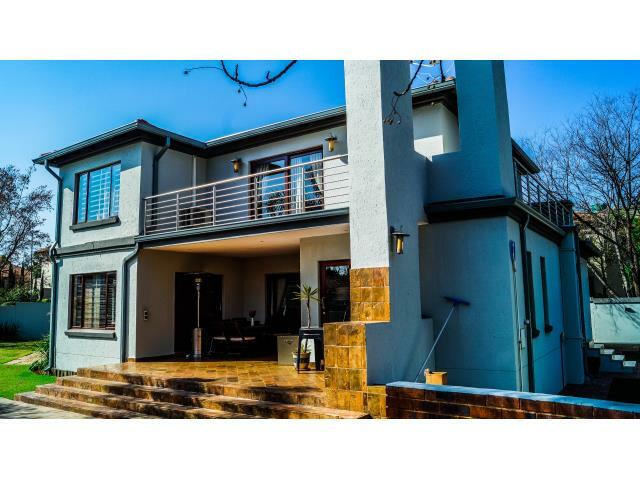 The house itself is protected by palisades, electric fencing, beams and a full alarm system. Call Now me today to view! 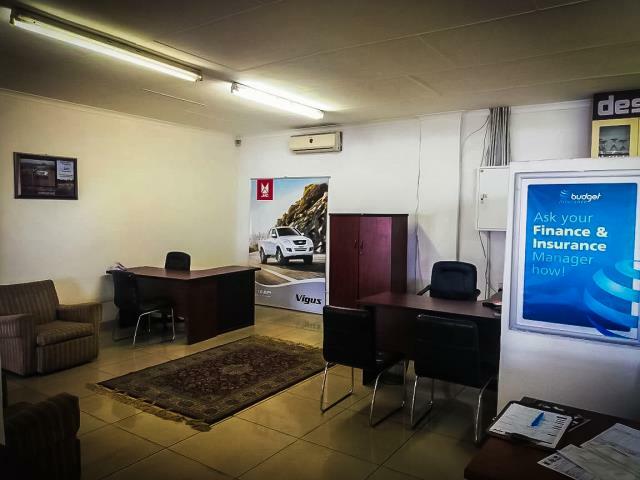 We are retiring and would like to sell our Dealership stand in Silverton, Pretoria street. Asking price is some what negotiable. 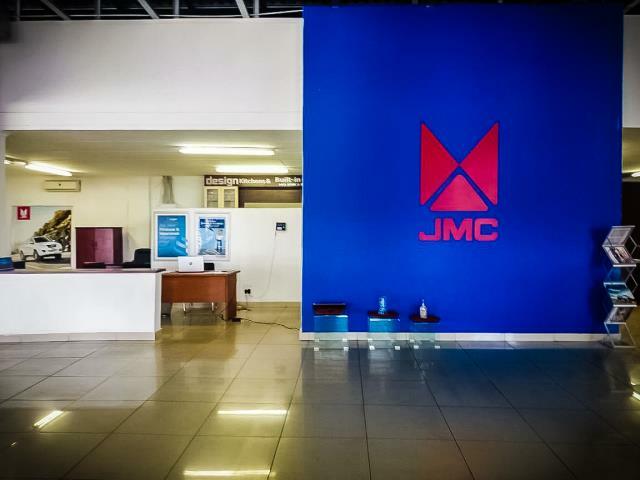 Our Stand offers its future buyer/Owner, zoning for Motor Dealership, Vehicle Sales Mart and Motor Workshop and/or x1 Dwelling House. All approved by the municipality. A large stand to explore future business adventures. 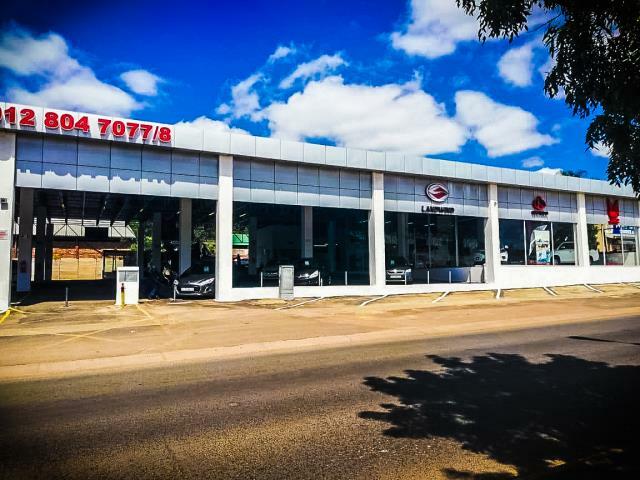 There is a glass showroom for your new vehicles as well as a second hand sales floor, offices, workshops, reception area secure parking all under roof as well as a guards booth. Stands like this do not come on the Market at this price. 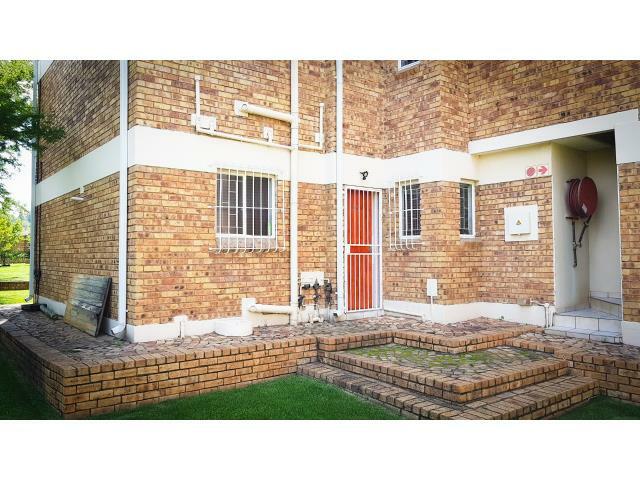 Please feel free to contact me to view the property. 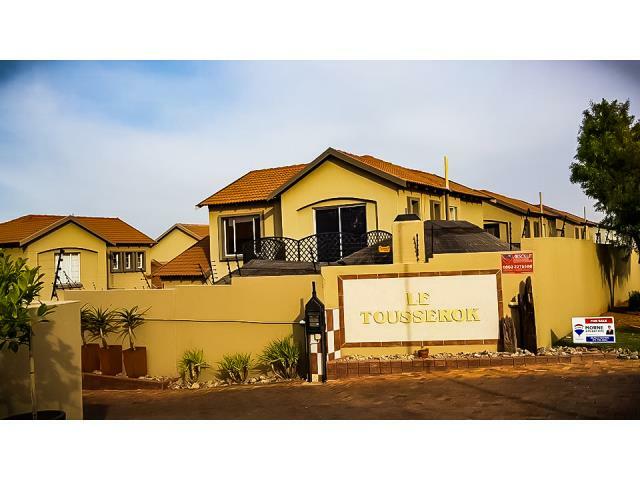 This neat and spacious 3 bedroom unit boasts of a double automated garages that leads directly into the house for added convenience. The kitchen has ample storage space and leads into the open living area. a Sliding door takes you through to covered patio and private garden. The garden has plenty of space to entertain on those hot summer afternoons.Their is also guest toilet downstairs. Upstairs: Three bedrooms with built-in cupboards. The main bedroom is en-suite. The first bathroom consists of a corner bath, basin and toilet. 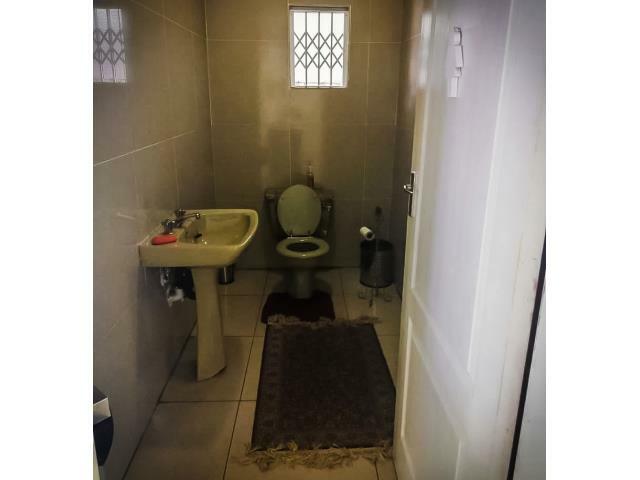 En-Suite: Large shower, basin, and toilet. Call me today to view the well priced property. A truly exceptional home you’d be proud to own. Walk through the front door into a large open plan lounge and separate dining room.The lounge has a fireplace to keep you warm on cold Winter nights. Sliding doors from the dining room and lounge leading onto a covered patio.There is a Guest toilet downstairs as well. The open plan kitchen has plenty of cupboard space, a centre island, space for a double door fridge and contains a gas stove. A separate scullery leads off the kitchen with place for three appliances. The scullery leads to the courtyard and inter leads to the double garage. The double automated garage has a ceiling and rubberized floor mats keeping it neat and tidy. The courtyard includes Astroturf and a fitted gas cage with under staircase storage. The house runs off of prepaid electricity and a gas geyser. The extremely large garden is accessible from all rooms downstairs via sliding doors creating beautiful natural light throughout the whole of the downstairs. 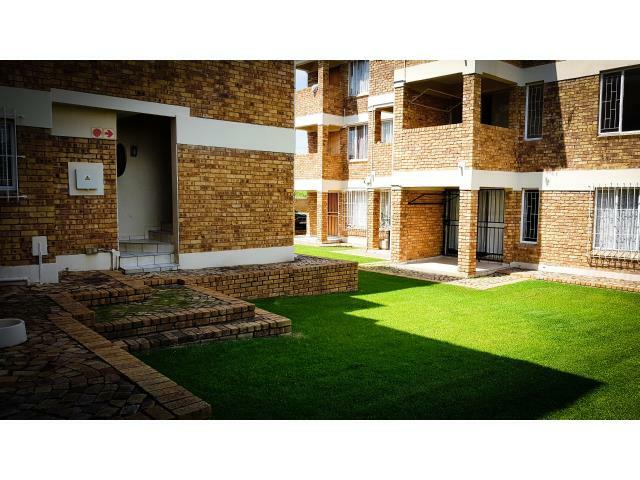 The landscaped garden contains a vegetable patch, a beautiful pear tree and a fully functional borehole. Upstairs leads to three nice sized bedrooms all with built in cupboards. The main room has a Romeo and Juliet Balcony from the sliding door,a full bathroom with double basins, bath and shower. Air Conditioned main bedroom. The second full bathroom contains his and her basins, bath and shower. A study nook with doors leading to a large upstairs balcony with beautiful views of the mountain. 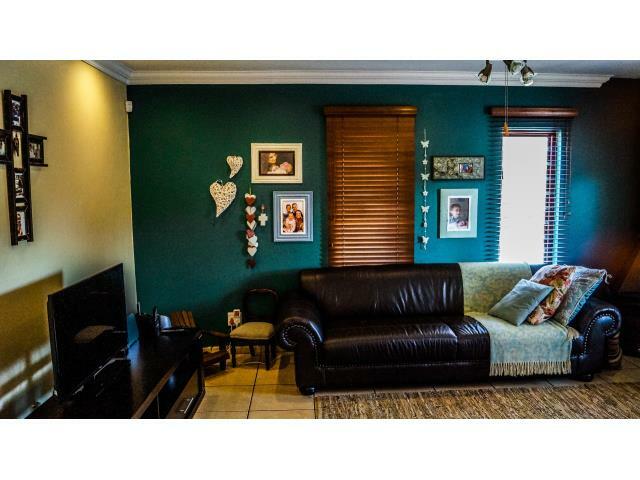 If you would like to view this beautiful property please call me. Own a lifestyle, not just a home! 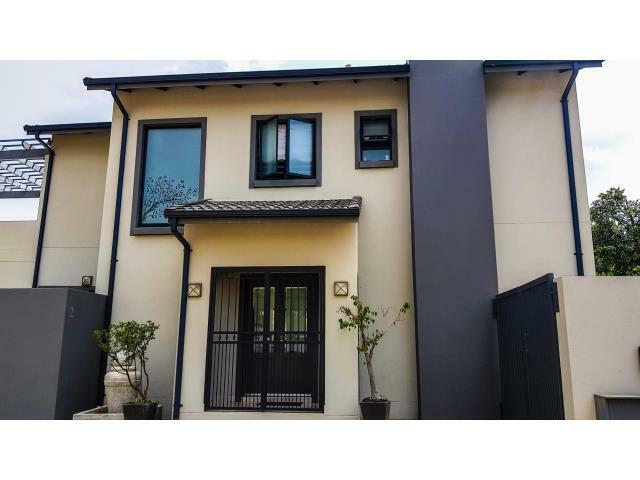 The spacious home - is close to excellent schools and has easy access to shopping malls & highways. Upon entering thought the front door you instantly feel "at home". 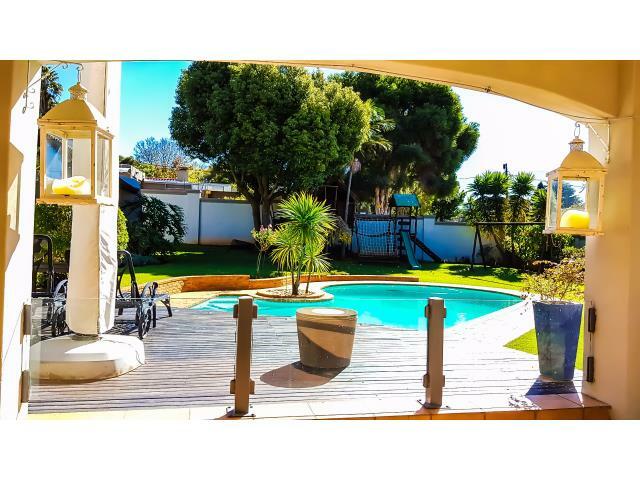 The spacious reception rooms includes two lounges - one with fireplace – that leads through to the lovely undercover patio with built in braai overlooking the sparkling pool and well establish landscaped garden. 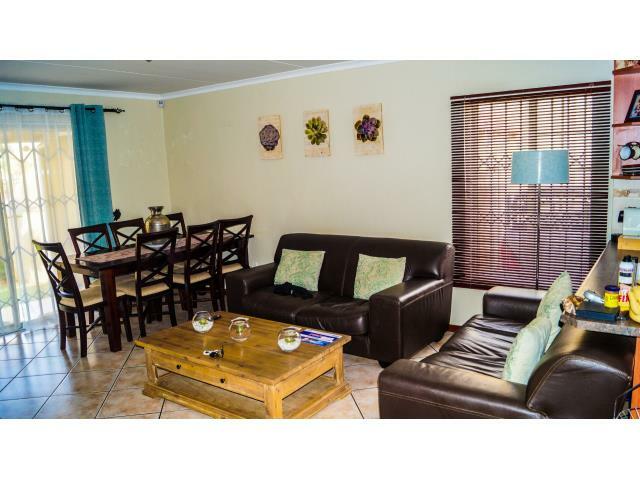 Further accommodation consists of 4 bedrooms, 3 bathrooms “main en suite with Air-conditioner”, a guest toilet , dining room, a lovely solid wood bar area and a study. Cook up a storm in the modern kitchen fitted with top of the range appliances. 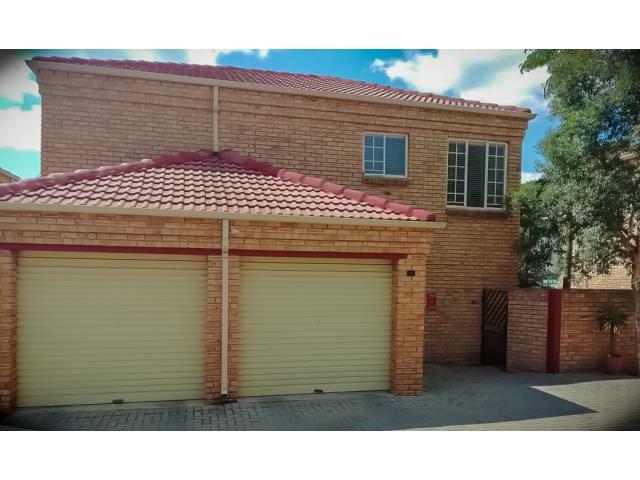 Extras includes 3 Full garages, 1 Closed off carport, Flat let / Staff accommodation with kitchen and bathroom, a store room and a outside toilet. Excellent Security System with CCTV, Automated gate, Electric fence, Linked alarm system (Beagle Watch), Beams and more. Note: property can be split in two separate section in needed. Phone now for an appointment to view this lovely family home. Only 18 units in the complex. 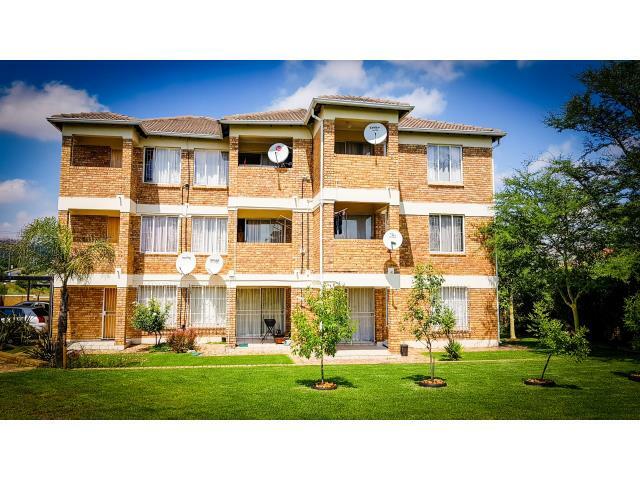 This Fully tiled and spacious ground floor unit is ideal for young people, investors or downsizers. 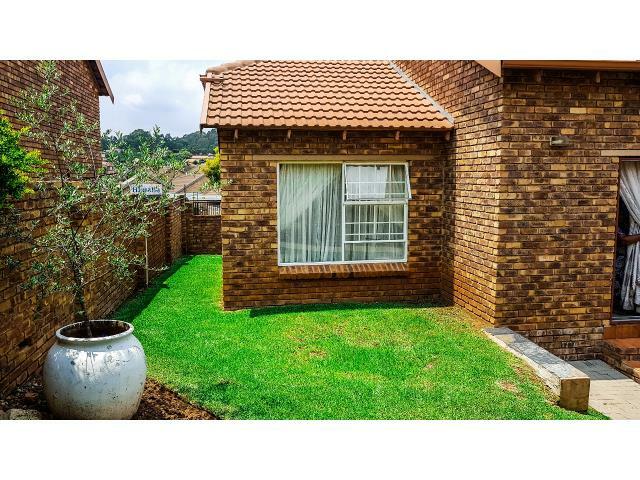 There is one huge bedroom with ample cupboard space and one full bathroom with a shower, bath, basin and toilet.The open plan kitchen is light and spacious with space for two appliances.The family room opens up onto a tiled patio that overlooks the landscaped gardens and the designated braai area. 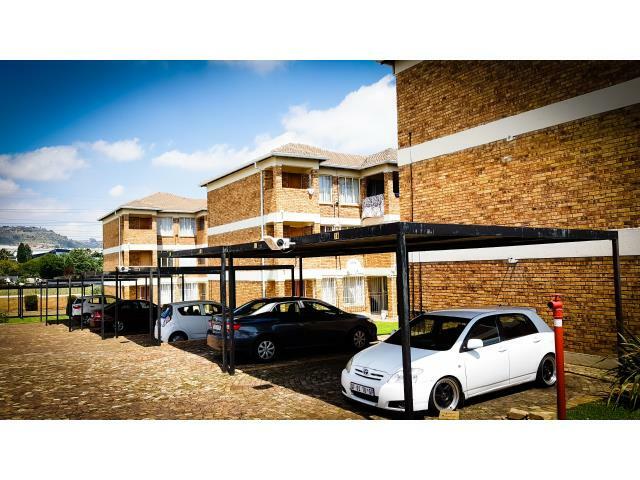 Ample of Visitor parking bays available and allocated covered parking for the unit. See this home before someone else gets it! 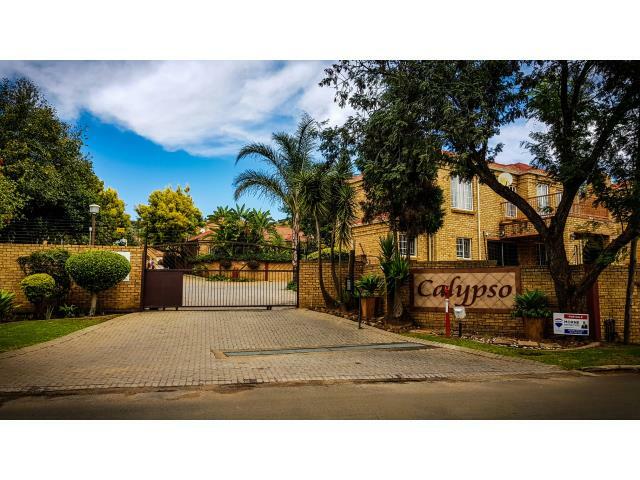 This first floor apartment boasts expansive lounge and dining room, that leads out onto a well size balcony, there’s a open- kitchen with ample of space for all your appliances. A passage linen cupboard, provides additional storage plus 1 family bathroom, 1 bedroom and a huge open plan lounge area that could easily be converted to an additional 4th bedroom. Upstairs offers an open plan wooden loft area that can be used as a study and 2 well sized bedrooms. The Big Master bedroom with en-suite bathroom and a private balcony with magnificent views. 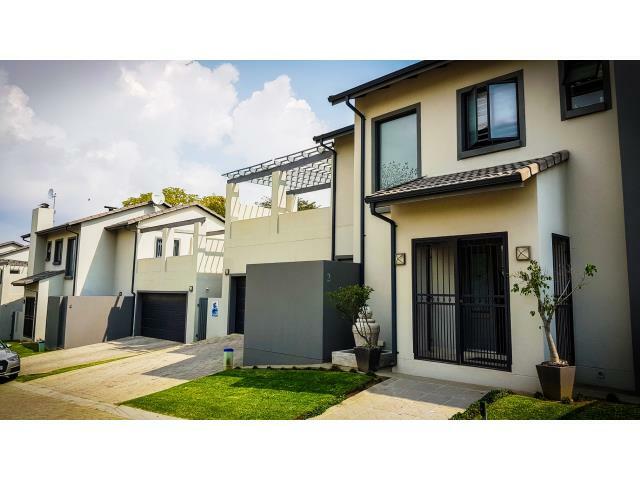 Additional features includes a sparkling communal pool with entertainment area and braai facilities, 2 allocated covered parking’s plus plenty of additional visitors parking. There is also a pre installed fiber points in the complex with CCTV and 24/7 security. Pet Policy allows for two cats in the upstairs apartments. Be the first to secure this apartment, call me today! 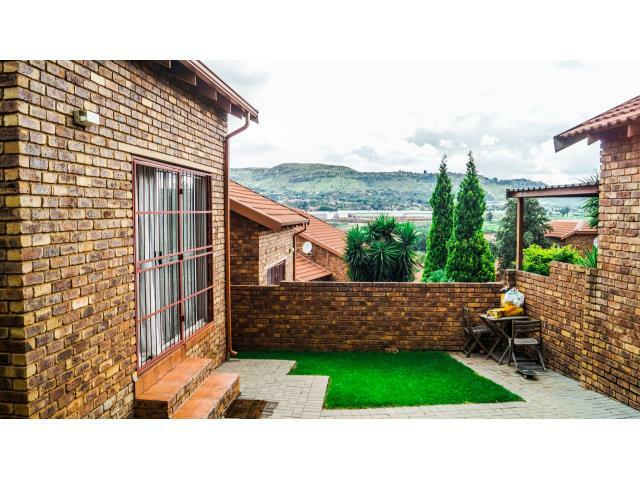 Perfect Location, Perfect Home and Perfect Price. 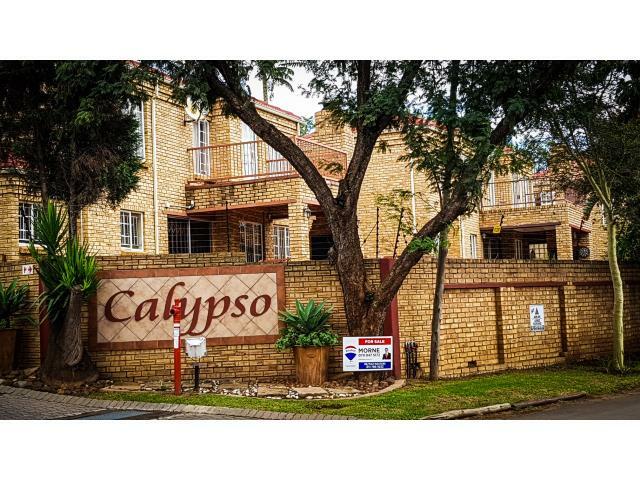 Low maintenance face brick townhouse located in a secure, quiet and sought after complex called Calypso in Amorosa, a small suburb close to Ruimsig. Parking is easy with an automated double garage that leads directly into the home. Additional parking located throughout the complex. Inside the home, the lounge and dining room are open plan to each other with large window areas which allow for plenty of natural light. 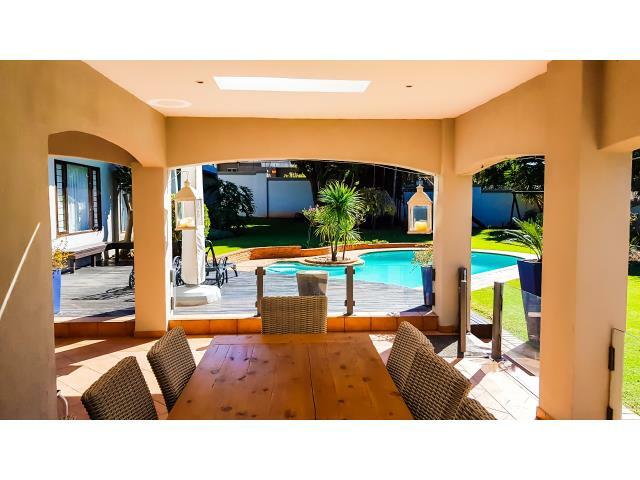 The lounge features sliding doors that lead out to the covered patio area with a xl built in braai for the family gatherings, there’s is also a solid wood deck that overlooks a large well established wrap around garden ideal for the kids to play or a possible pool addition. 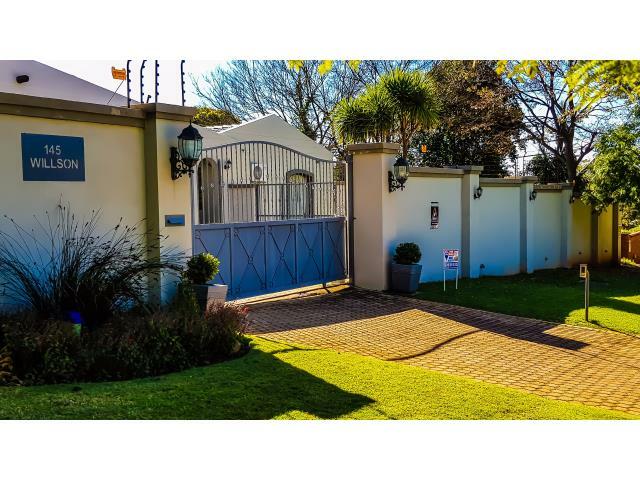 This property is conveniently close to schools such as Maragon, Trinityhouse Little Falls & Curro Wilgeheuwel just to name a few. 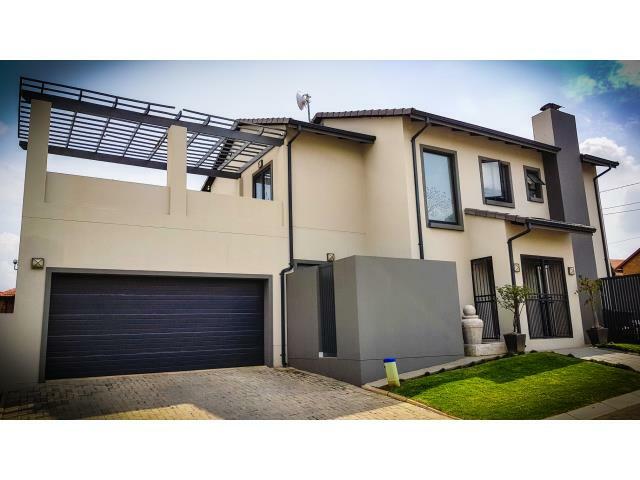 It is ideally located to Silverstar Casino, Cradlestone Mall & Clearwater Mall as well as the smaller but nearby Feathbrooke Village. 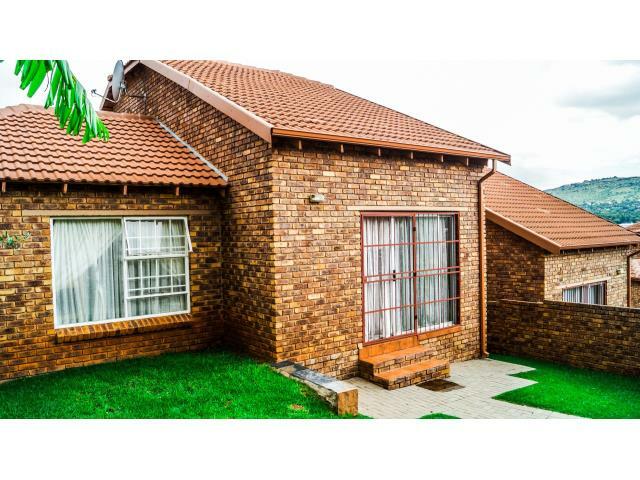 There are various amenities to enjoy such as the Walter Sisulu Botanical Gardens Poortview, Ruimsig Country Club & many places of worship/churches. 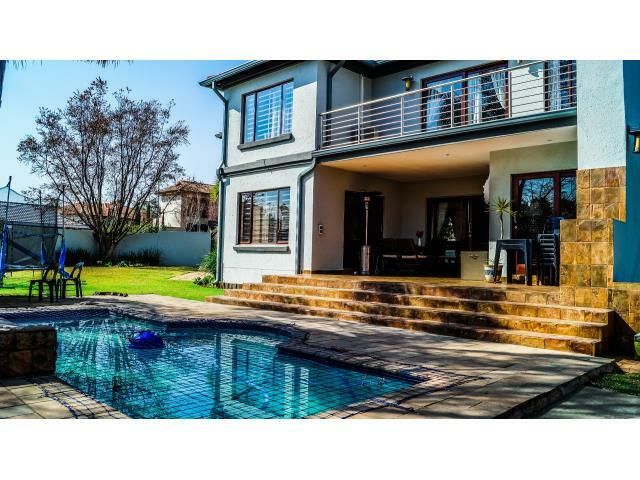 Contact Morne to view this dream home today! 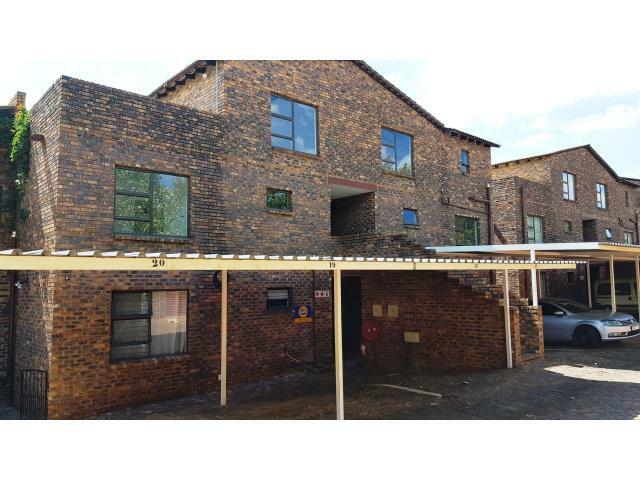 This spacious townhouse offers 3 bedrooms, tiled throughout, with built-in cupboards, 2 bathrooms, one of which is en-suite (toilet, bath, basin) and 2nd bathroom downstairs (toilet, bath, shower, basin). Lovely open-plan kitchen with space for two appliances. There is also a open plan lounge area that opening out into the private wrap-around garden. The unit comes with one lock-up garage and one carport in front of the unit. Pet friendly complex that’s very secure. 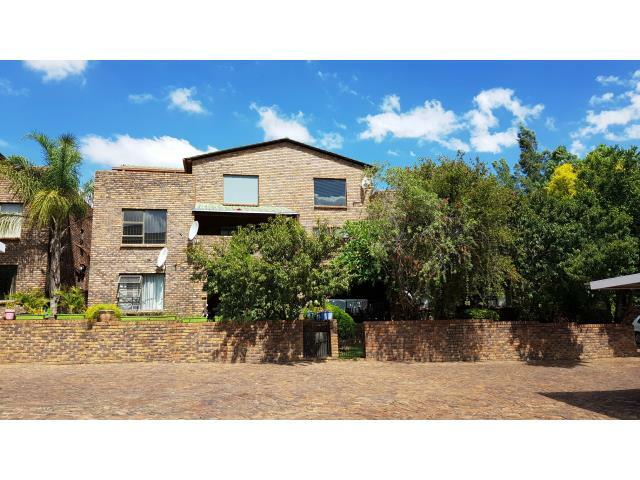 Close to all amenities, a stone's throw away from Curro Wilgeheuwel, shopping centers and Wilgeheuwel Life Hospital and in walking distance from Little Falls Pick & Pay. Spend a little, gain a lot! 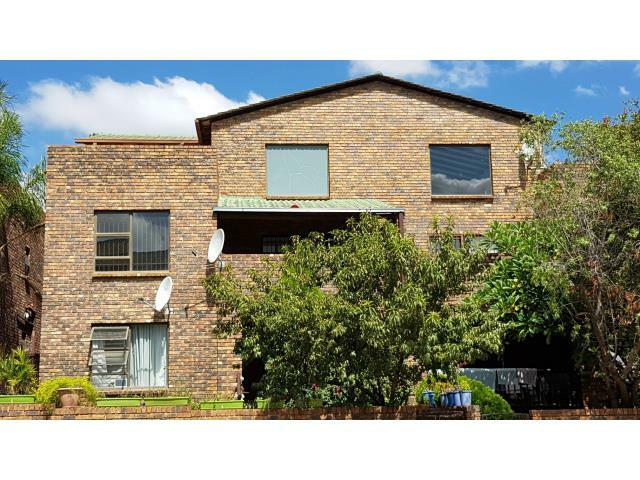 Be quick and snap up this well priced unit, Call us today for an exclusive viewing!! 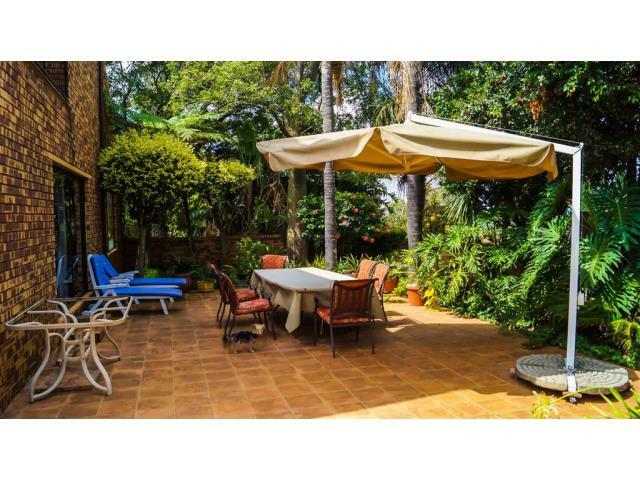 Stunning Provencal family home in secure estate. 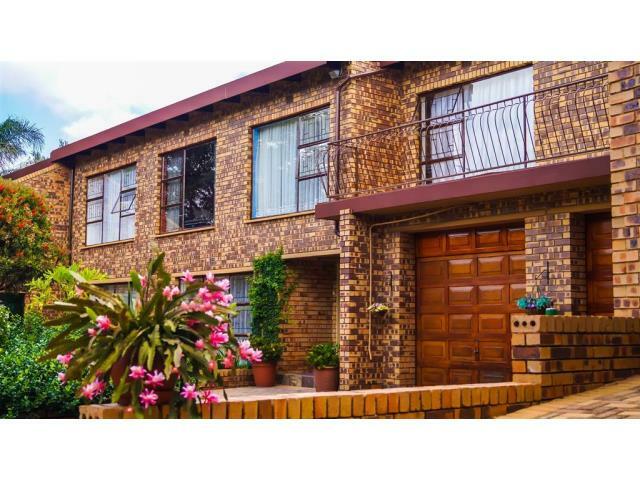 Upmarket family home with open plan living areas which include a lounge and dining room. There is also a full build inn Bar that leads through to a lovely patio with build inn braai that overlook the beautiful landscaped garden with pool and boma. 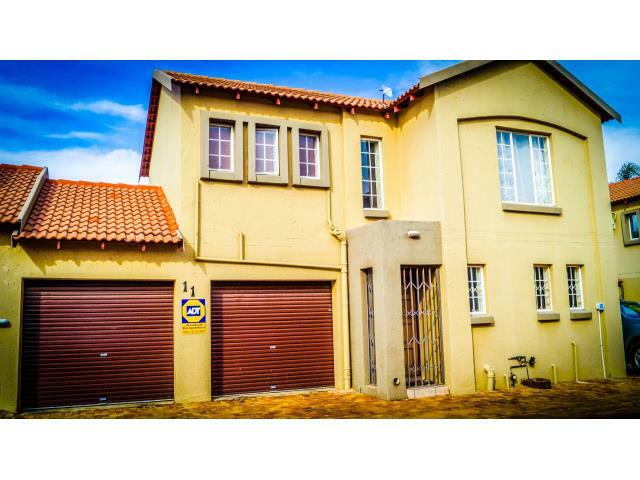 The home further boasts a study, 3 neat bedrooms and 2.5 beautiful bathrooms. 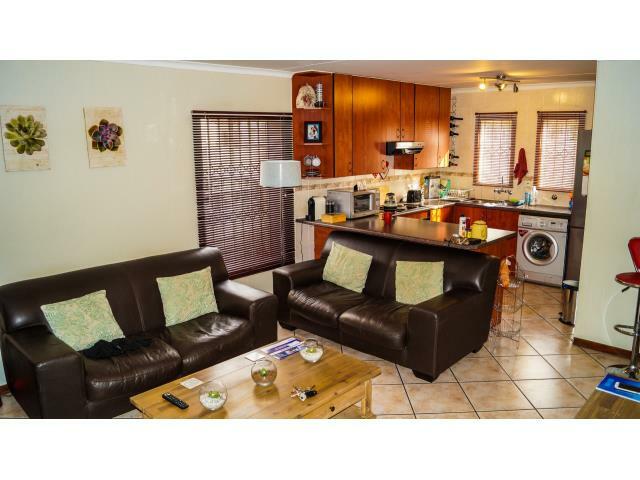 Functional spacious kitchen with scullery and gas stove. 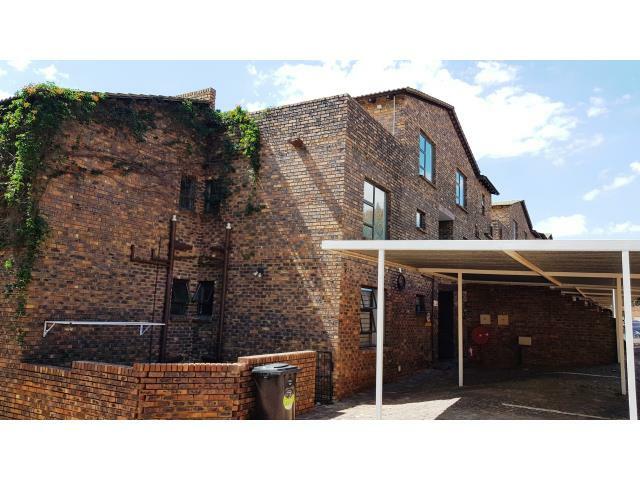 Servants Quarters with full bathroom, own storage and a double automated garage. 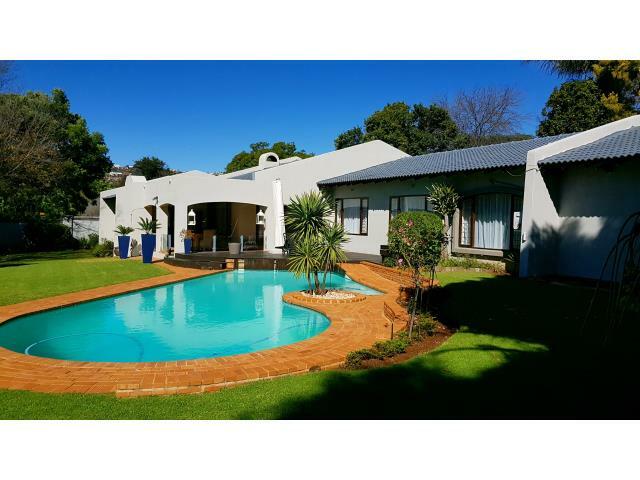 TWO RIVERS COUNTRY ESTATE, SITUATED AS IT IS ON THE CROCODILE RIVER, OFFERS THE DISCERNING INVESTOR THE SUPERB COMBINATION OF A RELAXED, SECURE LIFESTYLE AND A GARDEN SUBURB THAT HAS A SEMI-RURAL ATMOSPHERE. Call me to view this amazing property today!